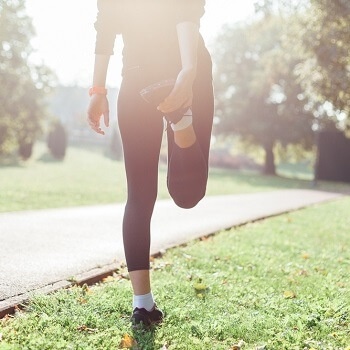 If you’ve got a long-term sports injury or have recently suffered an injury while exercising or playing sports, it’s a good idea to get a professional opinion. While minor injuries may clear up of their own accord, even simple injuries can result in long-term problems if they’re not treated properly. If you’ve suffered an injury that has resulted in pain, swelling, restricted movement or stiffness in the affected area, you should see a doctor. Our GPs can offer advice, guidance and if needed, prescribe medication or refer you to a specialist to continue your treatment. Serious sports injuries like broken bones, blows to the head and dislocations should be treated as a medical emergency. In cases like these, you should attend your nearest A&E. When you suffer from a sports-related injury, it’s important to protect the affected area straight away. While it might be tempting to ignore it, you should avoid exercise and rest it - using a support if necessary. Applying ice or cold packs in sessions of up to 30 minutes can help reduce swelling, but you shouldn’t apply this directly to the skin. Swelling can also be reduced by compressing the area using a bandage or elevating the injured area. If your problem continues for more than a couple of days and you don’t see any improvements, you should see a doctor.